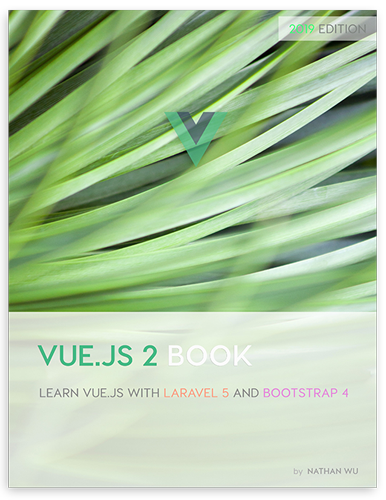 The first Vue.js 2 and Laravel 5 book! The fastest way to learn Vue.js! Learn by building practical VueJS applications with Laravel 5 backend. The best Vue.js 2 and Laravel 5 book is here! Get it now to support the author! One of the most popular Vue.js books. Learn all real-world features: vue-router, axios, JWT authentication, event bus, and more. Special offer! Get the book now and save 34%! "Build a Django eCommerce Web Application"
"Make Your First Website From Scratch using Adobe Dreamweaver CC"
"Build a Decentralised Blockchain App using Solidity"
Our mission is to help people building awesome websites. Subscribe now to have a chance to get this book for free! Get Vue.js tutorials, news and freebies straight into your inbox.